Team Fees/ Sponsorship Fees are $90.00. 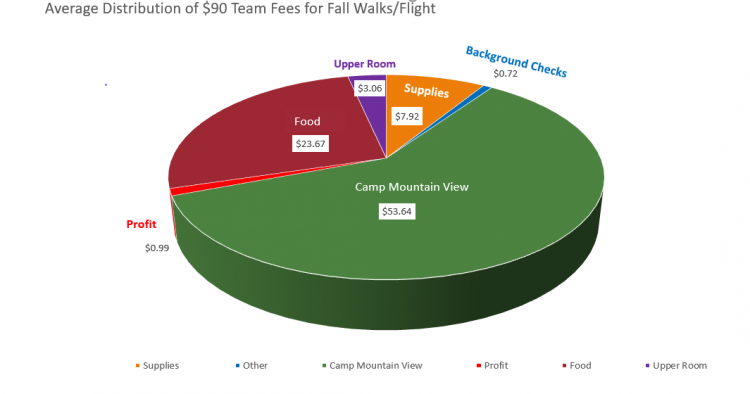 ​All worker/team fees are expected to be paid during one of the three team meetings. ​Below is an average of how fees are used. *​If you are a sponsor a $30 fee is to be paid when application is sent in. Remainder of $60 is expected to be paid at registration, if not paid before. Want to pay your fee on line? Just click the Donate button and follow the prompts its that easy.